These are just a few of the world events that happened while you were concerned mainly with your next book report, how you were having "the worst!" bad hair day, or why that teacher just seemed to have it in for you. Yep, the world was actually going on around us. 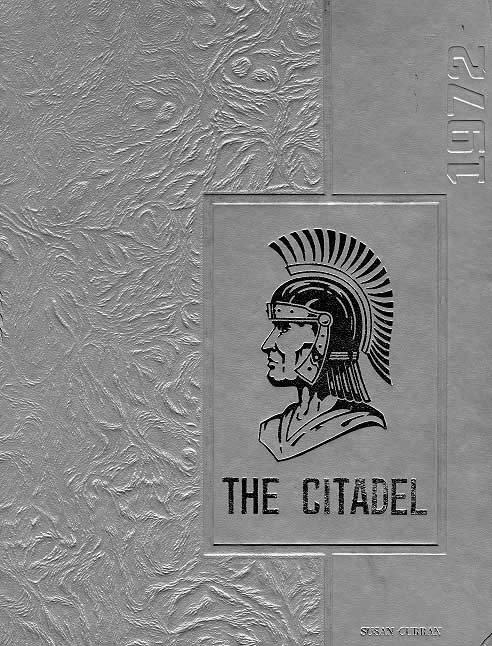 The Citadel theme for 1972 was "We've Only Just Begun." Max Ehrmann's poem Desiderata is reprinted in the introductory pages (although with an unfortunate misprint in the first line - I had to laugh), as well as a tender poem by graduating Senior Maggie Wunsch called Goodbye. Pictures of Homecoming Queen, King and Princesses are included - I don't think I've seen that in the other books. Even Christmas gets a couple of pages! You can see the cover has a beautiful tapestry-style imprint (which looks even better if you click the picture to see it full-size). And be sure to check out the "Extras" button for the Commencement Program for 1972 graduation. Our heartfelt thanks go out to Susan Curran '72 for loaning her 72 Citadel - another "work of love" scanned for us by Anita Donohoe '66, who continues to provide me with these wonderful treasures to share from our life in Ankara - thanks very much to both of you! 7. Candy Man - Sammy Davis Jr.